Get a Good Zip extracter. After extracting, open the file and right click on the .x86 file and go to properties. 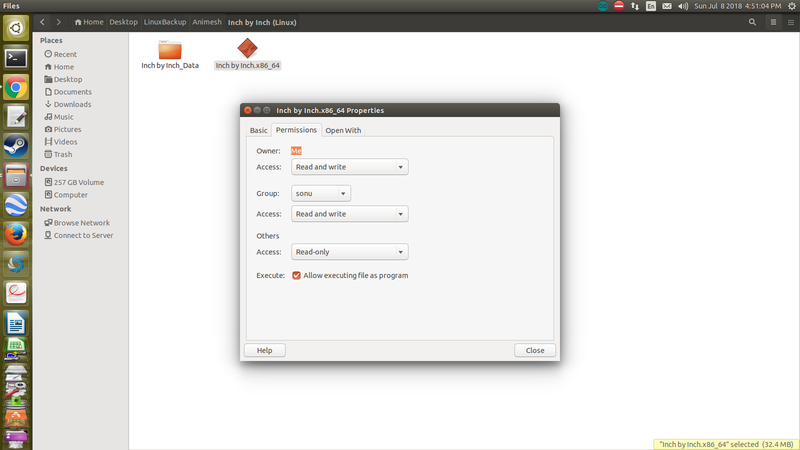 Then go to permissions and allow to execute as a program. Then, your game game will run as usual. Thanks, I got it public today... Thanks a lot for your help! I made a game and published and made it public, ensuring I didn’t click on the configuration. But it still doesn’t show up on the search. Is there something I have to do extra.